I’ve been away for a few days, dealing with life (yes, I actually have one!) while I gear up for more testing. I’ve got an EEG coming up, to get some more actual visuals of what goes on in my brain — glory be! I am so tired of having to explain the breadth and depth of my life experience to professional care-givers, just to catch their attention. I’m hoping machine-generated images will help. I really really hope something useful comes of this next test. Of all my testing, in fact. Once I have some definitive data in place, then I can put together a more effective approach to dealing with all the various professionals in my life. Speaking of professionals, I recently had a conversation with a Ph.D. about a list of neurologists and neuropsychologists who are helpful — and not so helpful — in assessing and treating traumatic brain injury. There’s a brain injury support group that keeps track of who’s helpful and who’s not, and they specifically mention neurologists and physiologists who are in league with insurance companies… and make a point of proving that people do not have tbi-related issues that should be covered by insurance. I assume that “disqu” is short for “disqualify” and that the person entering the search term may have been someone who was about to undergo testing of some sort. If I’m right, I really feel for them. It must be terribly confusing and disorienting for them, if they’re “freshly wounded” — and they have to cope with someone trying to prove they don’t have problems for real. All I can say is, when it comes to dealing with brain injuries, it’s critical to get the right help. Ask around and find people who have in-depth experience with TBI, and find out who’s on the payroll of the insurance companies. Get inside information on who’s in the helping business, who “gets it” when it comes to brain injury, and who’s in the business of lining their pockets thanks to some monster health insurance company. Back in the day before I started having all those car accidents, I actually studied (and passed the state exam) for selling insurance. Bottom line is, you don’t want them angry at you or suspicious of you. So if you’re going to go asking for help, you’ll need to be able to prove you need it. I’m fortunate to have a PCP who respects my honest and well-intentioned need for information and gives me the referrals I truly need. I’m fortunate to have blundered across the right people at the right time. And I’m fortunate to be so hard-headed and stubborn that I don’t take no for an answer. Not forever, anyway. I may get stalled, but I seldom get stopped. I wish/hope I can say the same for others in my same type of situation. Author brokenbrilliantPosted on February 3, 2009 September 5, 2009 Categories Brain Injury, coping strategies, diagnostic testing, doctor visit, head injury, Head Trauma, life, medical testing, Mild Traumatic Brain Injury, mtbi, Personal Experiences with TBI, tbi, tbi education, TBI Rehab, TBI Symptoms, thoughts, traumatic brain injuryTags brain damage, Brain Injury, head injury, Head Trauma, life, Mild Traumatic Brain Injury, Motivation and Inspiration, mtbi, Personal Experiences with TBI, tbi, tbi education, TBI Physiology, TBI Rehab, TBI Resources, tbi survivor, thoughts, traumatic brain injuryLeave a comment on Avoiding insurance fraud…? I had a really troubling dream just before I woke up this morning. I was walking through the woods with two friends of mine. It was almost like a jungle or rain forest – the air was very humid and the trees were huge and spaced apart, and the forest floor was quite open — not a lot of underbrush, but springy underfoot. We were walking along a wide path that was well-worn, and we were talking about this and that. I believe we were discussing possible dangers from big cats that had been seen in the area. If I remember correctly, the woods had been cleared of all dangerous wild animals a while back, but some big animals had escaped and had returned to their habitat, so hikers were warned to be very careful and not engage them. We walked and talked for a while, and I was picking up stones and nuts and old pieces of tropical fruit that had fallen from the trees. I was tossing them around, and my friends were getting irritated with me. They wanted me to stop, but I didn’t feel like talking with them. They were just running at the mouth, and I was getting overwhelmed with all the words. We were passing by an open clearing that was raised up above the path, when we looked up and saw a cheetah sitting in the sunlight. It was a beautiful animal, so sleek and strong. It also looked very dangerous and wild. My friends said we should walk by it slowly and not bother it. They were both terrified of it. I was thinking that I knew how to deal with a big cat. I’ve learned (for real, not only in the dream) that with big cats, if you come across them, you have to face them down. Make yourself as big as possible and stare them in the eye. You cannot show any fear, and you cannot turn your back on them, because when they hunt, they go for the back of their prey’s neck. If you do show them fear, or you turn your back to them, they instinctively attack and go for you. This is why joggers and cyclists are often attacked by mountain lions in California — they have their back turned to the animal or their heads are down, exposing the backs of their necks, so the big cats attack. I wasn’t afraid of the big cat, and I felt like I needed to show it who was boss. I also felt a kind of rush from the imminent danger — Here was a cheetah! A big cat this close! We were in danger for our lives! I felt that familiar rush of adrenaline that sharpens my senses and pumps me up and makes me do things that I would not do under normal circumstances. Something in me surged with daring, and I took a nut I’d been holding and threw it at the cheetah. I felt a thrill of danger course through me, and I cursed myself for having thrown it at the cat. The nut bounced near it, and the animal flinched, and it looked like it was going to back off and leave us alone. My heart was pounding and my mind was calculating what I would do in response to it. I was watching it very, very carefully, to see what it would do, and for a few moments, it looked like the big cat was going to withdraw into the woods and leave us alone. I looked up at the big cat and saw it had suddenly spotted my friend. in an instant, it recovered its composure, sprang into action, and raced after my friend. It looked so beautiful in motion, all its sinews taut, its coat shining in the sunlight that filtered through the canopy above us. But my admiration was short-lived, as it caught up with my friend, grabbed them by the back of the neck, and started to run off with their body dangling from its jaw. Frozen with horror for a moment, I took off running after the cheetah, yelling at the top of my lungs and willing myself to run faster. I was convinced I could catch it and wrestle my friend from its grip. The big cat was very fast, though, and it was way ahead of me, with my friend’s body hanging from its jaws. I was horrified and mortified, and my other friend was screaming at me for throwing the nut at the cheetah and making it angry. In my head, I was trying to calculate how far the cheetah could get, carrying my friend’s heavy body, if I could catch up with it because it would be slowed down by the weight, and if I could get to it in time to save my friend. I suspected that my friend had been killed instantly, or that even if I did catch up, the cheetah would be eating them, so there wasn’t much point in my running after them. Plus, I ran out of steam after a few hundred yards, and I had to stop. I was so upset at what had happened. On the one hand, I was upset with myself for throwing that nut, but I was also upset with my friend for not having better sense, and I was upset with the whole chain of events that was probably killing my friend. I woke up very disturbed around 5:00, and I haven’t been able to get back to sleep. I think that this dream has something to say about a lot of aspects of my life, these days. I have a lot of people around me who are very frightened for me, as I talk to them about my TBIs and the issues that go along with them. They’re like the friends in my dream, who just want to walk along quietly along a well-worn path in the woods, chatting about this and that, not really bothered by anything… cognizant that there are things amiss in the world, but not really eager to confront them. There’s also a part of me that’s like that. I don’t want to be bothered by dangers in the woods. I want to just go along my merry way and not have to expend a lot of energy on things like dealing with large dangers that I come across. But there’s also a part of me that gets bored with all that safe stuff, and I need to occupy myself. So I do things like picking up rocks and nuts and old pieces of fruit and tossing them around. I get bored pretty quickly, so I start casting about for new things to learn and do. Sometimes I cast about too carelessly, too — like tossing a nut at the cheetah. Or, I take a calculated risk and push the limits. In my dream, I didn’t just toss the nut at the cheetah for fun — I did it partly to show it that I meant business, and I wasn’t intimidated by it. I also wanted to scare it away. And it almost worked. But my friend with the weak nerves had to take off running — doing exactly the wrong thing, in that situation. They didn’t have the same information as I, apparently, and they let their fear get the best of them. And then all is lost. This is pretty significant to me, in my real life experiences with others, because as I move forward, I’m going to have to educate the people around me about my condition(s) — TBI, etc. — so that they learn how to respond appropriately to the situation I’m in. I really don’t need them to freak out and get all worked up over things that A) we don’t know for sure, or B) are big and dangerous but are totally manageable with the right information and the right team of caregivers. I don’t need them to lose it and put themselves — or me — in danger. I need them to be cool, be present, be able to help in a substantive and constructive way. As I go through this next phase of diagnostic testing — maybe it will show something, maybe it won’t — I need to keep my head on. I need to take care of myself and take things slowly, and not only know why I’m doing what I’m doing, but be clear with others why I’m doing it. Everybody needs to be in the loop, and that includes the parts of myself, too, that are prone to freak out and make poor choices out of fear, rather than knowledge and courage. But at the same time, I also need to be cognizant of my tendency to court danger, as some kind of reflex, some inner/neuropsychological/biochemical need to sharpen and brighten mylife experience… to wake me up and keep me engaged in life. I need to be aware of my tendency to overstep my bounds, when I’m bored or tired or in need of some stimulation. I need to remember that, when it comes to taking on new challenges, I’m not always as smart as I think I am, and I’m not always up to the task of overcoming what I’m presented with. I can’t afford to forget that I rarely know as much as I need to know — either about myself or the situation I’m presented with. In my dream, I couldn’t chase down the cheetah, once it had hold of my friend. And I can’t always overcome my cognitive and behavioral issues as well as I’d like, once they take hold of me and get a ‘running start’ ahead of my logic and innate abilities. When (not if) I meet a proverbial big cat on the path through my own “woods,” I need everyone with me — the parts inside and the people outside — to remain calm, make informed choices, and keep their heads. I need to focus on the basics — take care of my body and my mind and my spirit, with adequate rest and activities that feed and sustain me and build up my strength (not to mention common sense). And I need to be aware of my limits and not push them carelessly just because I need a thrill. I need to be aware that I do have a tendency (perhaps thanks to my PTSD) to court danger, just to feel awake and alive. And I need to remember that I’m much more use to my friends and family alive and healthy, than injured or dead. No matter how dangerous a situation may seem, the right information and the intention/willingness to intelligently proceed in the proper way can mean the difference between keeping on my path and making progress, and disaster. Note to self: Get plenty of rest over the coming days and weeks. You’re going to need it, to do a decent job of handling all this. Good news on the neurologist front… finally! I had an initial visit with a new neuro who will actually listen to me. I guess three’s the charm. The first two I went to, seemed to have a lot invested in just dismissing my issues or making them out to be just stress-related, but this doc actually sat and listened to me list out my issues. Or maybe I was just better prepared this time. I know I was a lot less nervous, this time around, and that probably helped. And I’ve gotten more accustomed to talking to doctors, since that first visit nearly a year ago. But this doc was actually interested in what I had to say, which was pretty amazing. And they let me use my notes. We actually managed to cover a lot of territory in the hour we spent together, and by the time the visit was up, I had an appointment for an MRI this weekend, a call in to the EEG lab for another appointment in a couple of weeks, and I had a third follow-up appointment scheduled for late next month. Getting the right help makes all the difference, I say. And having the right insurance does, too. Two years ago, I would have checked around with friends about different kinds of insurance, and I would have changed my carrier when I had the chance. I would have NOT gone with the company I’ve been with for over 10 years, which is fine if you’re healthy, but notorious for declining to cover out-of-the-ordinary things, like neuropsychological evaluations and neurological testing. I would have gone with another plan that is not nearly as stingy with adequate coverage and doesn’t treat you like a moocher for just wanting to stay alive. The thing is, they don’t. For head injury, it can be very tricky, finding the right neuro. Some neuros are in bed with insurance companies and they focus on proving that people really aren’t injured all that badly, so the insurance company won’t have to cover their treatment. And others just don’t get the whole head injury thing. It’s very puzzling that professionally trained medically “qualified” doctors — especially neurologists — can’t get their heads around the idea that brain injuries (even mild ones) can carry serious cognitive-behavioral consequences that can wreck the life of even a “recovered” brain injury survivor… and that these injuries need to be constructively addressed for the sake of human dignity and basic functionality. Clearly, there’s a realy need for some substantive education, there. 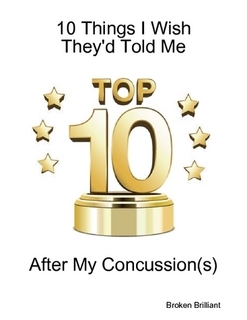 Either that, or the people saying, “Oh, those brain injured people will be just fine,” have sustained brain injuries, themselves, and that’s what they tell themselves to avoid the pain and tribulations of confronting their own limitations. Who can say? Anyway, getting back to the referral thing, when I would tell my doc, “No, I need to see a TBI specialist, and this is the person I need to see,” (having done my homework and asked around), and they pushed back and told me that I had to stay inside “their network” I didn’t realize that their network actually includes a bunch of different hospitals in the greater metro area, and some of the hospitals are associated with excellent medical schools. It took me about five false starts, before I stumbled upon the information about how wide their network really is. And in the process, I canceled — or just didn’t make — a couple of appointments with neuros who came very highly recommended, but weren’t “in the network” — the immediate one, that is — but really were in the wider associated network. I also would have challenged those other neuros on their decisions to not order testing for me. The times when the docs said, “I don’t think you need an MRI or an EEG,” I would have said, “Is that you talking, or the insurance company? How much do they pay you to say that?” I would have really given them hell about just brushing me off, and I would have challenged them on their decisions and I would have called them on it. Apparently, as a friend of mine who used to be in medicine told me the other day, it’s common knowledge that doctors are compensated by insurance companies for not ordering testing like MRIs and EEGs. Yes, docs get a kickback from insurers for not doing their jobs — or a least doing less of their jobs than they ‘have’ to. This just floors me. I guess I’d have to show up close to dead and hooked up to a machine cranking out objective metrics for clinical analysis, in order to be taken seriously, but you know what, I’m just not going there. I’m a lively, vibrant, awake, engaged human being, and I actually like to live. So why would I subject myself to that sort of experience, just to make some doctor/insurance company happy? It never occurred to me that I was here to do their bidding. Funny, I thought it was the other way around. But then, I have sustained multiple brain injuries, so that probably has impacted my capacity for cynical cognitive shortcuts. Anyway, now I know these few simple but critical things, and I can now act on that knowledge. Speaking of acting on knowledge, I think I’ll pay a visit to the hospital administration and discuss this disturbing tendency with them. I understand that they are trying to stay solvent, and they have to do what they have to do, to keep their books balanced, but actively discouraging people from seeking out proper care is just unconscionable. And someone needs to be made aware of this. I’m not asking them to send everyone out to other providers for help — just don’t actively prevent those of us with specific, unique, highly specialized conditions from getting the help we really, truly need. That being said, I’m going to read up on MRI’s now, and prepare myself mentally for my appointment this weekend. I’m actually very excited to be going — I love machines, and the whole magnetic resonance imaging thing gives me a thrill. I don’t care if it’s loud, I don’t care if it takes all day. I’m looking forward to A) getting a close-up look at this machine, and B) actually getting some answers about what’s going on in my head — answers that are NOT based on speculation and extrapolation and deduction, but honest-to-God pictures.